Dr. Harrison Lee is considered among the best facial plastic surgeons in the world for Facial Feminization Surgery (FFS). Dr. Lee has successfully and elegantly performed FFS on more transgender women then almost any other facial plastic surgeon in the world. Facial Feminization Surgery provides dramatic changes to the male face which helps facilitate Male to Female (MTF) Transgender patients to fully live in the female role and be perceived as a woman with confidence. 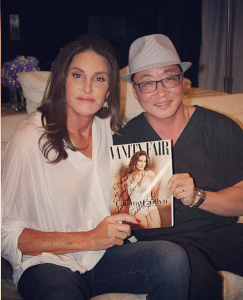 Dr. Lee has gained world wide recognition as a FFS specialist after it was announced that he performed Caitlyn Jenners facial feminization surgery. 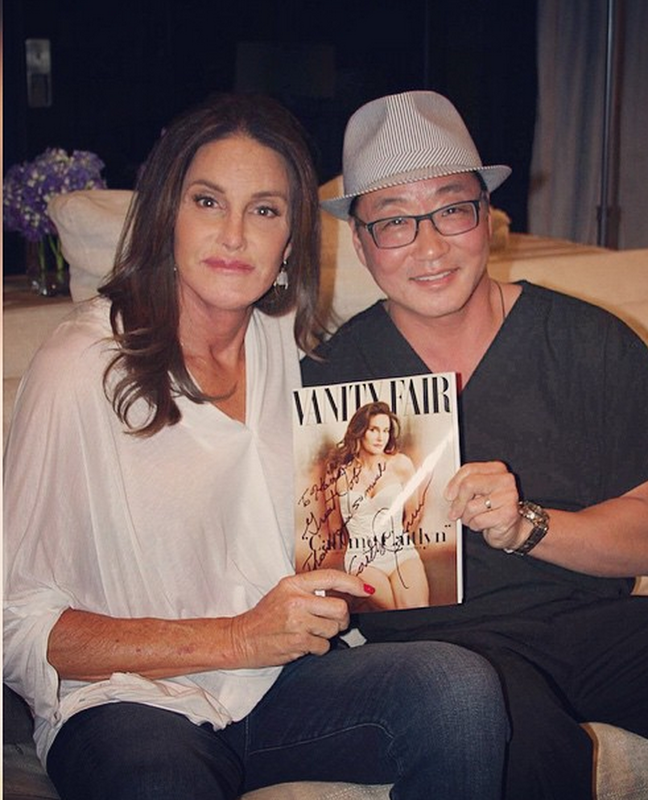 Dr. Lee offers FFS at both his Beverly Hills (Los Angeles, CA) anhttp://www.harrisonleeplasticsurgeon.com/wp-content/uploads/caitlyn_jenner-dr-Harrison-Lee.pngd NYC (Manhattan, New York) plastic surgery practice. Given his remarkable background not only a facial plastic and reconstructive surgeon (but also an oral and maxillofacial surgeon) Dr. Lee is able to artistically enhance masculine facial features to a more feminine appearance. While most FFS patients are transgender women, some women who are conscious of their faces being too masculine will also undergo FFS. * To schedule a confidential plastic surgery consultation at either the FFS specialist’s Beverly Hills or NYC plastic surgery practice simply phone our office or request your consultation online. Facial feminization surgery has become increasingly sought after by transgender women since FFS is considered just as important (or for some, more important) than gender reassignment surgery, because FFS surgery enables transgender women to integrate socially much easier as women. Using a delicate balance of science and art Dr. Harrison Lee customizes every surgery to meet your personal needs and aesthetic goals. Hairline Advancement Surgery: This surgery is performed to lower the hairline, reduce the height of the forehead and correct the normal male temple recession to give a more rounded female hairline. Forehead Reduction (Brow Bone Contouring Surgery): Forehead/ brow ridge bone contouring is one of the most common facial feminization procedures which can be performed as standalone procedure or combined with another FFS procedures if needed. Brow Lift Surgery: A brow lift is an essential part of facial feminization surgery. It is commonly performed in conjunction with a forehead lift and brow bone contouring. Rhinoplasty: Feminizing rhinoplasty surgery creates dramatic improvements towards a feminized appearance. Cheek Implant Surgery, Cheek Enhancement: The cheek is important for feminization. Cheek enhancement is typically a procedure that can be performed either with fat grafting or with a customized cheek implant. Chin Surgery (Shaping, Chin Contouring Surgery): Chin reduction and contouring surgery results in a more oval, elegant, softer, and smaller chin. Jaw Contouring Surgery: This surgery helps soften the jawline tremendously. This procedure alone can transform a person’s face into a more feminine one. Lip Augmentation: Lip augmentation yields immediate results and help transgender women improve their feminine appearance by delivering a fuller look. Subnasal Lip Lift: A subnasal lip lift reverses the natural effects of gravity and age by shortening and reshaping the area above the lips and under the nose. Thyroid Cartilage Reduction, Adam’s Apple Reduction: A trachea shave (thyroid cartilage reduction) is one of the most common surgical procedures performed on transsexuals. Dr. Lee reduces the cartilage in the throat to make the shape more feminine. “I started my transition about 3 years ago which included hormone therapy, laser hair removal and breast augmentation which seem to be fine at the time. But then I noticed that there were things that HRT would not fix which was my face. So I decided to get Facial Feminization with Dr. Lee which was the best decision I have ever made! Well let me first start off by saying how awesome Susan (Patient Coordinator) is! From our very first phone call I felt at ease and very comfortable to go through with the consultation which happen to be a week later. Being that I was on the East Coast at that time (OH!!! I failed to mention Dr. LEE HAS AN OFFICE IN BEVERLY HILLS AND NEW YORK!!) which made it very convenient for me to get the ball rolling! Moving forward I met with Dr. Lee, He was the most calming and caring. by far the best consultation I’ve had out of the four…Yes I had four consults before Dr. Lee and feel in LOVE immediately because he gave me the feeling that I needed. After all my face was going to be in his hands! He did not mind taking his time and going over in detail his concerns and including what I ultimately wanted my outcome to be. I did not want to look like I had plastic surgery. I am not in love with the animated look and he understood that! Most important I love his concept and understanding of what beauty is! After our consultation we set an appt. and I put down my deposit to hold that day (yes the same day). That two weeks went by so fast… and the day was finally here! The day before his staff was so awesome in calling to make sure I was good that I was on schedule to do everything i need to do so that my surgery was going to be as smooth as possible, this was only the beginning in what I felt I had become apart of a family! Surgery day I was introduced to Monica (the sweetest, coolest surg tech you’ll ever meet!) She gave me instruction up into the surgery room and once I got there it was smooth sailing and everyone made me feel so comfortable taking my mind off the fact that I was undergoing this major surgery! Everything went smooth I woke up in perfect health and in no pain….for the time being. lol After the surgery date I went in for follow up appts. the next day, then every week for 3 weeks after! And might I add everyone was just as helpful courteous as the day I met them! With Rita who was at the front desk great lady full of smiles and warmth to Monica and Dr. Lee reassuring me that everything was beautiful and healing wonderfully! Which I started to notice by the second week they were so right I was looking better and better! I can not express in words how I feel. Honestly my life has changed since my surgery! Not going to lie the first two weeks was hard because I was anxious in wanting to see results and laying around doing nothing is not what I’m use too….but looking back Im happy that i followed the doctors orders because I am healing and seeing awesome change! Love everyone over at Dr. Lee’s office! Dr. Harrison Lee is trained to the highest possible standards in facial plastic surgery and reconstructive surgery has gained best in class world wide recognition as a facial feminization (FFS) specialist. His patients not only trust his professional judgement and extensive experience, they feel cared for as individuals. Dr. Lee is a sensitive and caring plastic surgeon who will meet with you personally at your consultations and explain in detail what can be achieved with plastic surgery and what you can expect before, during and after surgery. If you would like to schedule a consultation with the best in class facial plastic surgeon, Dr. Harrison Lee, at either his Beverly Hills or NYC plastic surgery practice please feel free to contact us.